I could never justify buying a $248 bag (or a $59 t-shirt), but when my sister mentioned this phrase, Eat Cake for Breakfast, we both knew it was meant for me. I adore eating cake for breakfast! Pie will also do. And on the days when you just need something good to start you out, it works. If you need a bit of a reminder of this, I've made this Kate-inspired print for you to hang nearby. Grab the PDF, or click the image above to get to the Flickr version. I love this!! 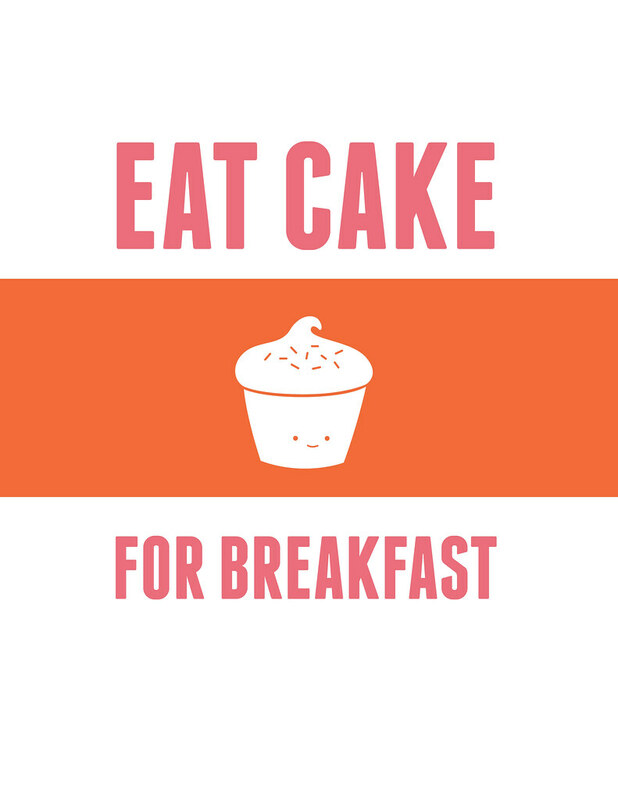 I often eat cake for breakfast, it's the best way to start the day!! You can't go wrong with cake. Thank you so much for this post. I want to let you know that I posted a link to your blog in CBH Digital Scrapbooking Freebies, under the Page 2 post on Mar. 05, 2012. Thanks again. I could use some cake this morning! Have a good day Mollie! That is a very nice motto ;-)... if pancakes/hotcakes are acceptable for breakfast, why not the real thing? Super cute! I want to hang this in my kitchen! Awww, thank you for it! Almost as good as a piece of Portillo's chocolate cake! ;) Cake, and brownies, are my weakness! And there is something about eating a cold piece of pumpkin pie for breakfast during holiday weeks. Hey, I just saw your project in my newest Mollie Makes! Good for you! Hey, just found your blog, and I'm so loving it.